Regular airliners use JET A-1 fuel. However, I've seen that military aircraft, i.e., Airforce or Navy; use a different kind of fuel called JP-N, where N is a number. What is the reason why this happens? If those other fuels have different properties, which are them to be better than the JET A-1 fuel properties? JP-5 has a high flash point, improving its handling properties over civilian jet fuels. This is important for fire safety in the close confines of an aircraft carrier. JP-8 is similar to civil jet fuel, but also has extra thermal stability additives in it. This allows for longer-term storage under harsh field conditions, and better resistance to deposit formation in places like afterburners and fueldraulic movable nozzles where the fuel is exposed to high temperatures even before it's burned. It also may be specified for properties such as cetane rating that are essential for proper performance of diesel reciprocating engines run from JP-8. Not the answer you're looking for? 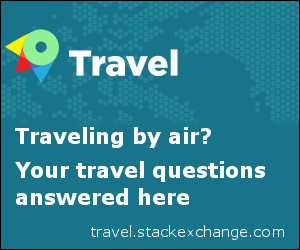 Browse other questions tagged airliner military fuel or ask your own question. Why does the speed of commercial airliners fluctuate, sometimes as high as 1,060 km/h or as low as 800 km/h?